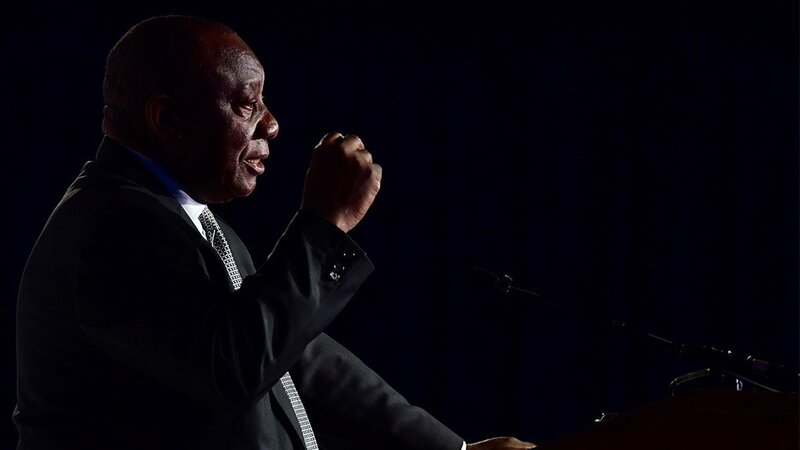 Africa needs to mobilise large-scale, sustained investment, especially in infrastructure if it is to seize the opportunities of the future, but African governments cannot do this without business, President Cyril Ramaphosa said on Thursday. "The private sector and private markets are key players in the African investment landscape, supported by the lending capacity of financial institutions, both on the continent and beyond. If we are to unlock and sustain the flow of capital to Africa, we need to drive the economic reforms necessary to create an enabling business environment," Ramaphosa said. "To be globally competitive, to become investment destinations of choice, we need to resolve the problems that keep investors away. We have to address governance challenges such as policy uncertainty, financial mismanagement and corruption. "As African leaders, we must demonstrate a firm commitment to act against corruption both within public institutions and the private sector. We must deal with burdensome red tape, provide policy and regulatory certainty, and strengthen our financial institutions." 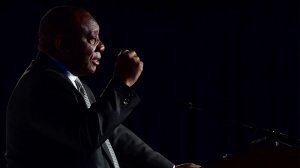 Ramaphosa was delivering a keynote address at the opening plenary of the three-day Africa Investment Forum in Johannesburg. The forum is punting itself as an investment marketplace will bring together project sponsors, pension funds, sovereign wealth funds, private investors, policymakers, private equity firms, and heads of government to raise capital to advance Africa’s economic transformation agenda. Ramaphosa said the economic transformation of the continent is dependent on all our efforts to move industrial and infrastructure projects to bankable stages, to raise capital and to accelerate the financial closure of deals. "International partnerships such as the G20 Compact with Africa can make an important contribution to this growth while offering investors significant opportunities to do business across the continent," Ramaphosa said. "The Compact is geared towards strengthening macroeconomic, business and financing frameworks across the continent to promote private investment from companies in G20 countries." Ramaphosa also said the expansion of intra-African trade through the Continental Free Trade Area will contribute to better policy harmonisation and trade liberalisation and facilitation regimes.